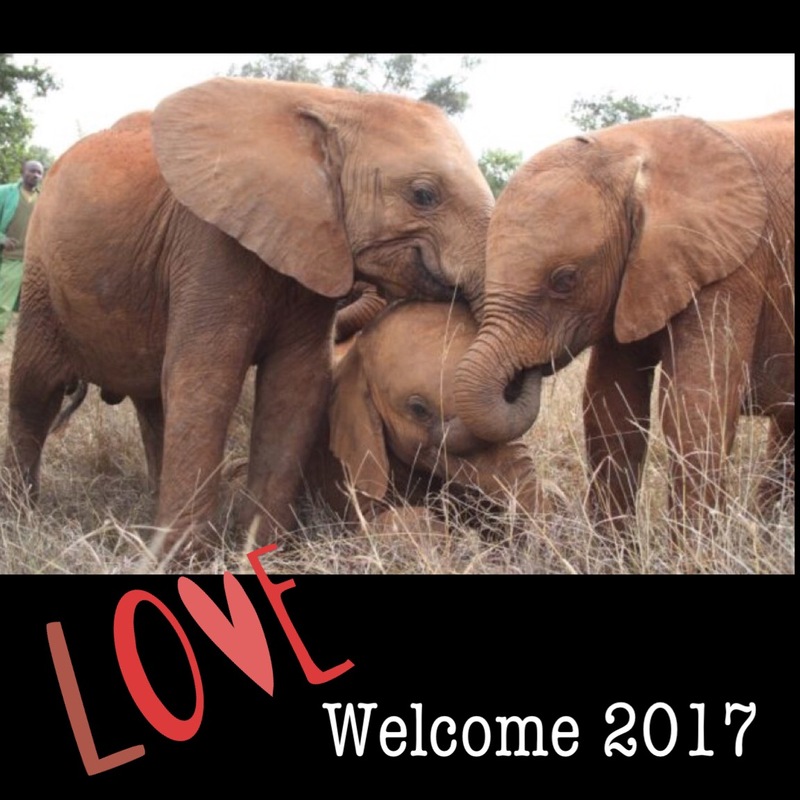 As we are turning over the calendar page to begin a new year I am feeling open and optimistic that 2017 will bring love, peace and joy. Starting a new year for our family is a time we reflect upon the year we just lived, we review our goals we had set, we create a photo album containing moments captured during our family adventures and everyday life, and Ryan puts together a video containing clips with moments we have captured throughout the year. Every other year doing this ritual feels good, we feel proud of all we have accomplished, all the adventures we experienced and grateful for all the memories we have made with friends and family. This year is different. This past year was hard. Harder than any year we have lived to date. I hope it is the hardest year we will have to live. I see all the pictures of all the moments we experienced as a family and as beautiful as they are, and as much gratitude I have for those moments I see Teddy missing. I see my eyes in the pictures and in many I see how the light was dimmed. I see pain, I see through my eyes as if they are a window to my soul and see all I have felt this last year. It is hard for me to see. I also see the light being let back in as the pictures progress. The final family picture of 2016 was our Christmas picture we put on our cards we sent out and my eyes are finally full of light again. When that picture was taken I had a great sense of peace and my heart was filled with gratitude and joy. The first year living with grief teaches you a lot. I am grateful for the lessons and as hard as this year has been I wouldn’t change it. I have learned we are stronger than we ever imagined. Being strong looks different every day and means something different to different people. Being strong for me has been the following. Accepting when my heart was far too heavy to continue with my everyday life, and allowing myself to feel and honour all that my heart was feeling. Waking up everyday and parenting two beautiful boys when my heart was so broken, and couldn’t help but see Teddy missing every time I looked at them. Talking openly and honestly about our experience to help others who have experienced a similar journey feel less alone. Keeping my heart open to allow joy, love and peace in when it would have been easier to shut my heart down and protect it from future heartache. Choosing to seek help from many avenues and being committed to finding peace. I attended a grief retreat, went to counselling with Ryan, had Reiki, saw a Shaman, spoke to our minister, talked honestly to those I trust to hold my heart gently and without judgment, attended peer grief meetings, and wrote about it all, especially when it was hard and messy. Allowing myself to feel joy and love for those in my life when they were blessed with beautiful life moments. It was hard at times for all involved to separate our heartache and the joy of their blessings. Having the realization that our level of grief and sadness doesn’t equal our level of love for the one who died. You can love that person deeply and have a heart filled with joy for the life you are living even if it is without them physically present. Openly admitting when my heart was heavy, life felt messy, and then also openly sharing when joy and peace have been welcomed and was allowed to stay. Accepting help, asking for help, and learning to lean on others. Giving grace to friends, family and even strangers who have been unknowingly hurtful, and to all who have judged not knowing what it feels like to be us. I have also had to give myself grace in times I have spoken words driven from hurt, or moments it would have been easier to be angry, place blame and/or have unloving feelings towards myself. Finding peace, and welcoming it to stay took a lot of strength. I can say a lot of the time peace now stays for weeks. I have moments that feel heavy but they are mostly fleeting. This isn’t to say I don’t have times when sadness hangs around a bit longer or that in my life times won’t feel hard but by allowing peace to stay has given me more strength to allow emotions to be flowing in and out freely. I no longer hang on to them. I am more present and more open. Being strong never looks exactly the same twice. It isn’t the same for different people and one’s strength can’t truly be judge by others, not even by those who have experienced a similar loss. We have all been blessed with unique circumstances in life, we have been gifted hearts that feel deeply and journey that is unique to its own. Knowing that it would seem like commons sense how we navigate a journey of deep loss would also be unique but so often people compare and judge. We judge ourselves amongst other’s journey with grief and the people on the sidelines tend to judge what they see looking in. Both equally unfair to everyone involved. I have learned when we experience a loss the ripple effect is larger than we initially imagine. As time rolls on the realization that the loss continues in many forms. You are excluded from events or activities because either your heart can’t handle attending, or because you no longer belong. Relationship change some become stronger and new ones are formed, and other times the cracks in a relationship become very apparent and you are unable to unsee them. The death of someone you love is multi layered and is always unique to the individual. Grief isn’t a party of one. It effects all those who love, share space and interact with the person experiencing the grief. It takes a village to get through it. We are all called to be apart of each other’s life experiences allowing us to grow, to become more compassionate and more aware of all that others experience in life. We can’t live it all ourselves but we can learn though those around us. It truly is a gift. I have realized once you experience a life altering moment the old you is gone, a distant memory, and a person you and others might miss. The new you may be a better version of the old you, but it takes time to find your way there. It is one of the ripple effects to grief, and an added layer of loss but also could be a blessing. I have learned that we all have our own medicine. What I need to navigate this journey isn’t necessarily what will work for others. There is no right or wrong way to do this. Everyone has to be true to themselves and support each other in the manner that works for them. There is no room for judgement but plenty of room to hold space, and offer love. I have learned the old me was an incredibly judgmental person. The new me works really hard not to be. I understand as much as anyone how hard it is to not judge, to trust that a person is doing what is best for them, to trust people are genuinely good and the words they use and the acts they commit are based on love. In 2017 I wish for a community that holds space for those in pain, shows an abundance of love, even when it is hard to do, and that we all consciously choose to not judge others, rather trust them instead. Life is full of mountains to climb and valleys to pass, struggles in life are real. We all face them, they never look the same from one person to the next but what we all have in common is that fact we struggle. If we all spent more time loving ourselves and each other, our time here on earth will be that much easier. The load for each of us would be lighter. Worry is the thief of joy. If for the next 365 days we can choose love and encourage those in our communities to do the same I can only imagine what 2018 will feel like.